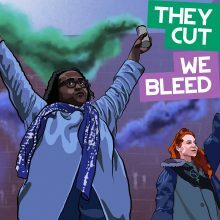 My new single ‘They Cut We Bleed’ debuts at LOUD WOMEN today! This one has been a reeeeally long time in the making – one way or another there have been a lot of people involved, but I’m super excited to finally share it with you. It will be released across all platforms on 1 December, but you can get it now from my Bandcamp store. Some of you might recognise the title as a slogan used by feminist direct action group Sisters Uncut, who campaign against life-threatening cuts to services for survivors of domestic violence. In the UK, two women a week are killed by a partner or ex-partner, but the government is cutting funding for refuges, legal aid, social housing – all services that survivors rely on. Across the country, the first services to shut down have been those set up for women of colour and LGTBQ+ survivors, while many migrant survivors are denied the right to access refuges at all. This is a matter of life or death. Theresa May has made a show of being tough on domestic violence, but is taking away lifelines for people trying to escape it. The track was recorded last year, using samples from a protest where Sisters Uncut took over an empty council flat in Hackney to highlight the lack of safe accommodation for survivors in the borough. They reclaimed the flat for nine whole weeks, and I did some of the editing of the track in the flat – a space for women and non-binary people only where Sisters Uncut ran workshops and events, ran a ‘solidarity not charity’ kitchen and made breakfast for local kids. All proceeds from sales of the single will go to Sisters Uncut. 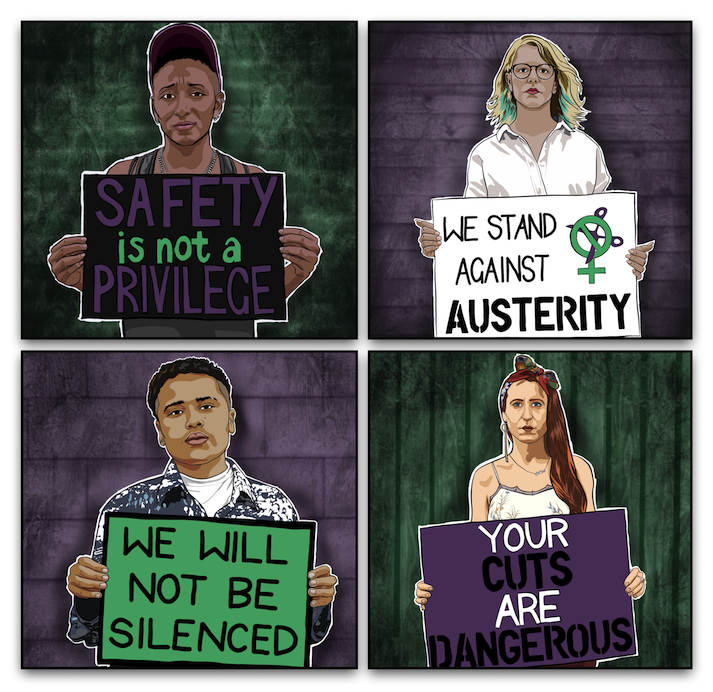 The video might just be my favourite one I’ve done yet, with footage from Sisters Uncut actions over the past two years, from the storming of the red carpet at the Leicester Square premier of the film Suffragette in 2015 to Sisters taking over the visitors’ centre of Holloway Prison earlier this year to run a community festival there. I’m super grateful to all of the sisters and siblings who gave me their footage, and those who gave me permission to use their voices and faces for this project.